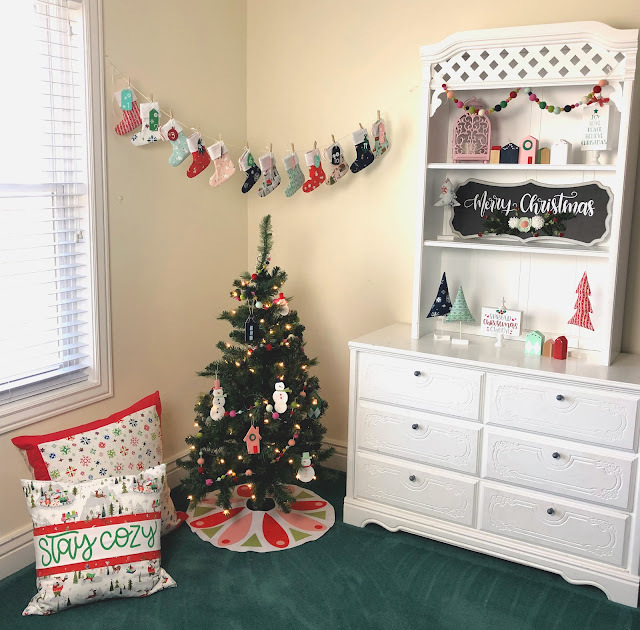 Help everyone in your house get excited for Christmas with this adorable Christmas Stocking DIY Advent calendar! 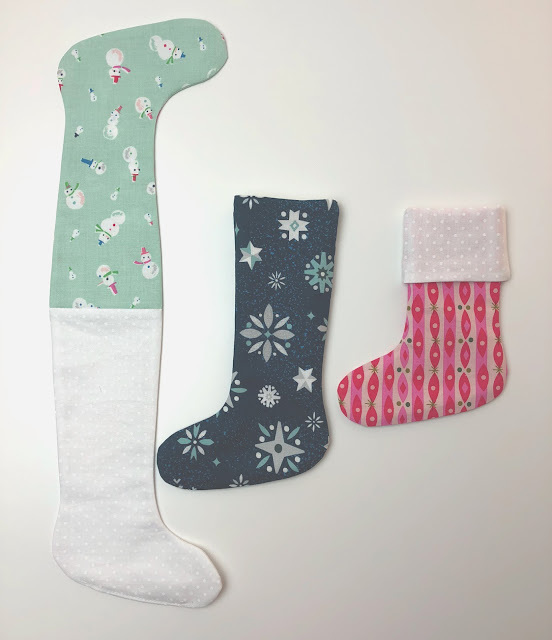 Amy from Ameroonie Designs is back with us again sharing a free sewing pattern for these adorable small Christmas Stockings! 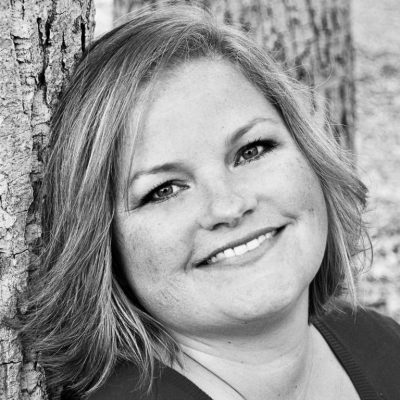 The anticipation of Christmas is always one of my favorite things! I probably have a dozen ways to countdown to this most special of holidays, but I decided to make one (maybe 2) more! Hi! 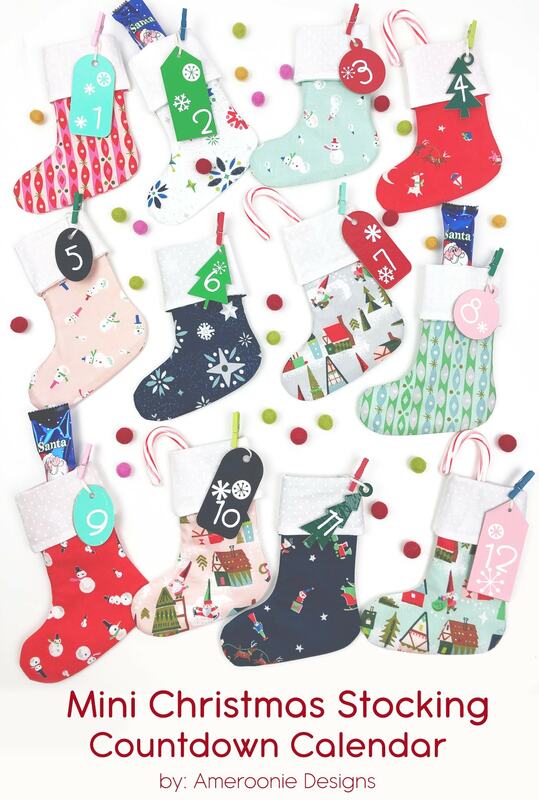 I’m Amy and I’m a Christmas countdown junkie! 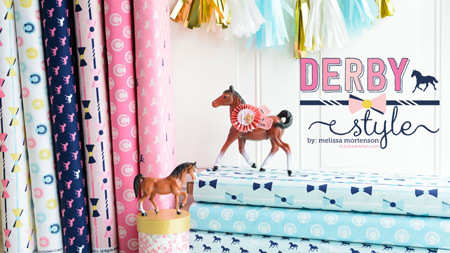 But with fabrics this cute, and mini anything- how can you resist? 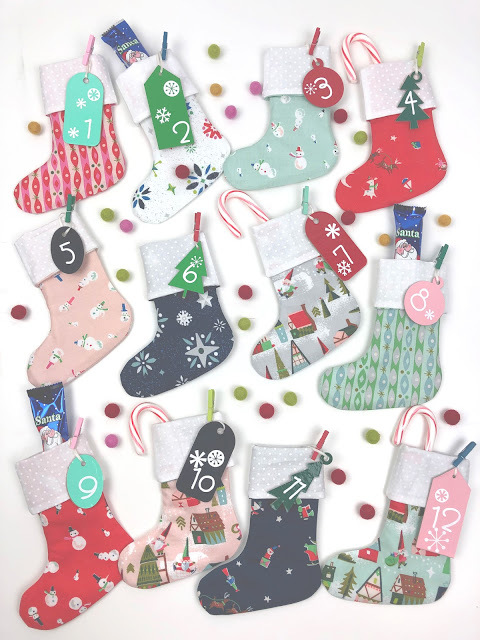 This free Mini Stocking Christmas Countdown is a fairly simple sewing project and lets your darling seasonal fabrics shine! 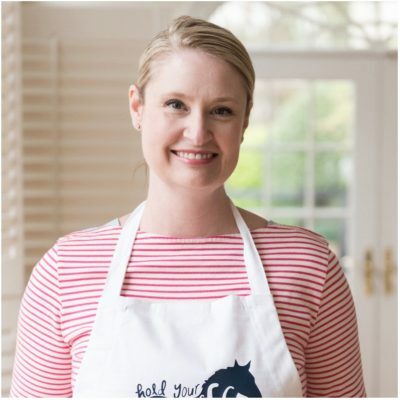 Today I’m going to share the how-to as well as the FREE pattern! 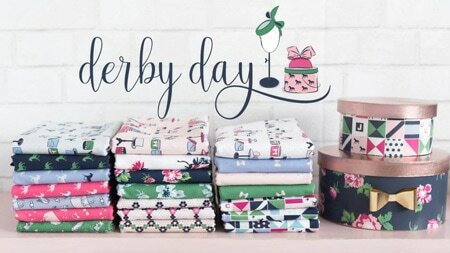 So let’s get sewing! 2 fat quarters will get you 3 stockings. 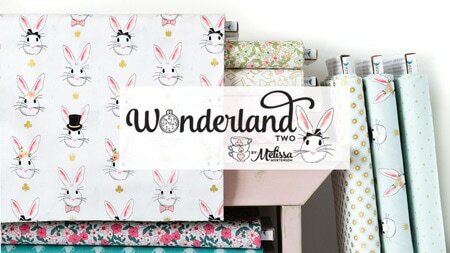 I like to mix and match the fabrics but you will need a minimum of 8 fat quarters. 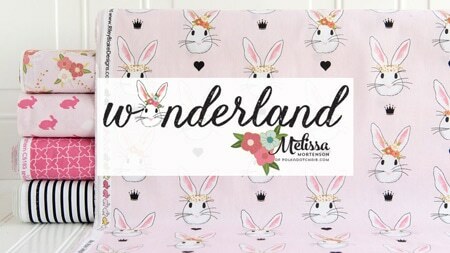 If you are doing what I did for this set and just using a white on white swiss dot for all the linings, you can get 4 fat quarters and 1 yard of lining fabric. 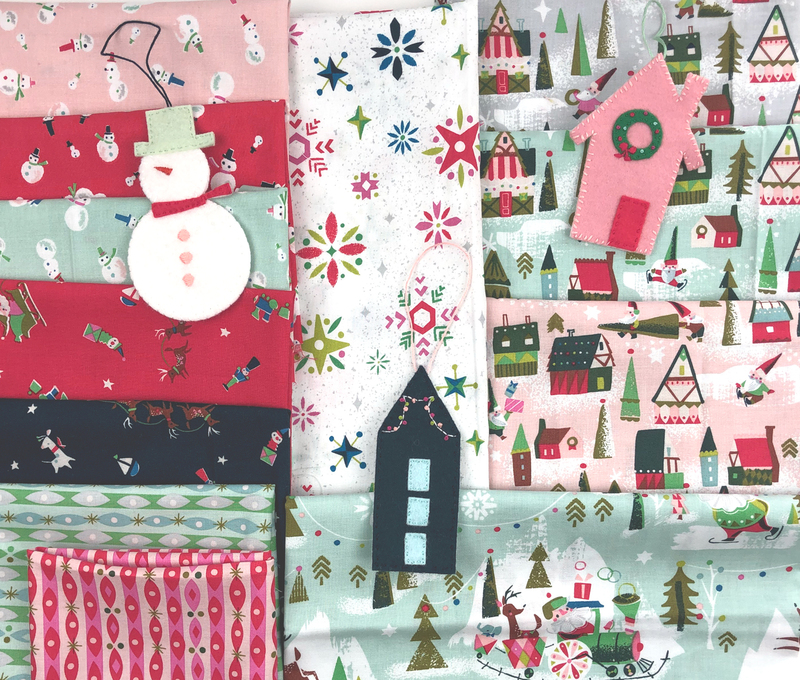 I am using Way Up North fabric by Jill Howarth for Riley Blake designs for mine. Can be found in my Craftsy Shop: Mini Stocking Countdown pattern– this file includes both the PDF version as well as the SVG file so if you have a machine that cuts fabric- such as the Cricut Maker, you can use that. 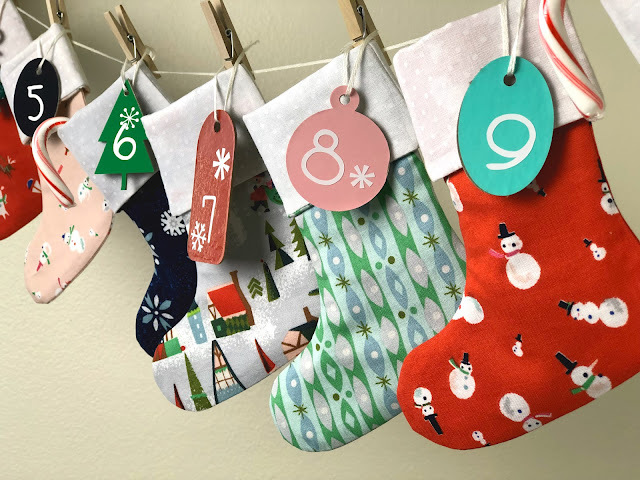 If you would like the full directions in a simple PDF format, that is also available for purchase in my Craftsy shop for a small fee: Mini Stocking Countdown Full Pattern. 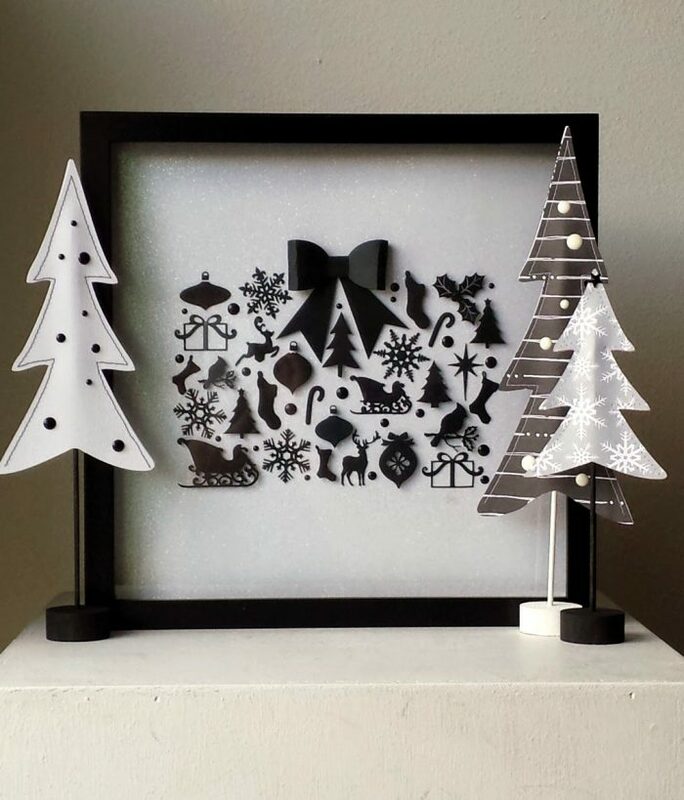 Cut out your stockings. 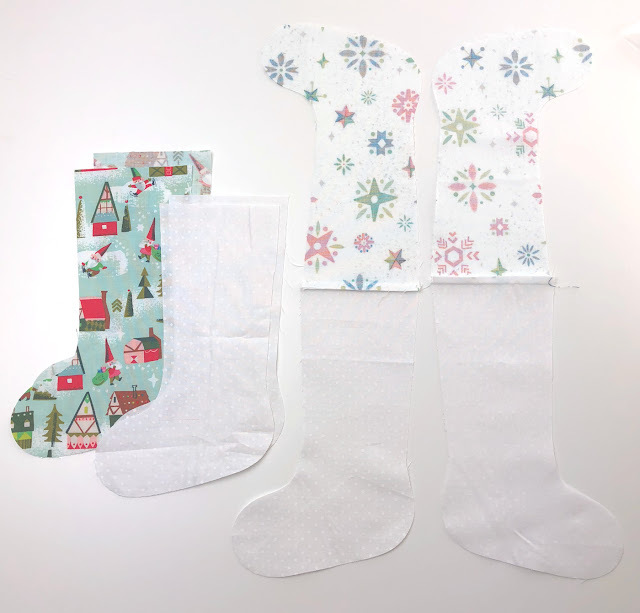 You will need two of the outside fabric and two of the lining fabric for each stocking. I find it’s easiest to do this by folding your fabric in half (right or wrong sides together) and cutting out, that way you have mirror images of your stockings. 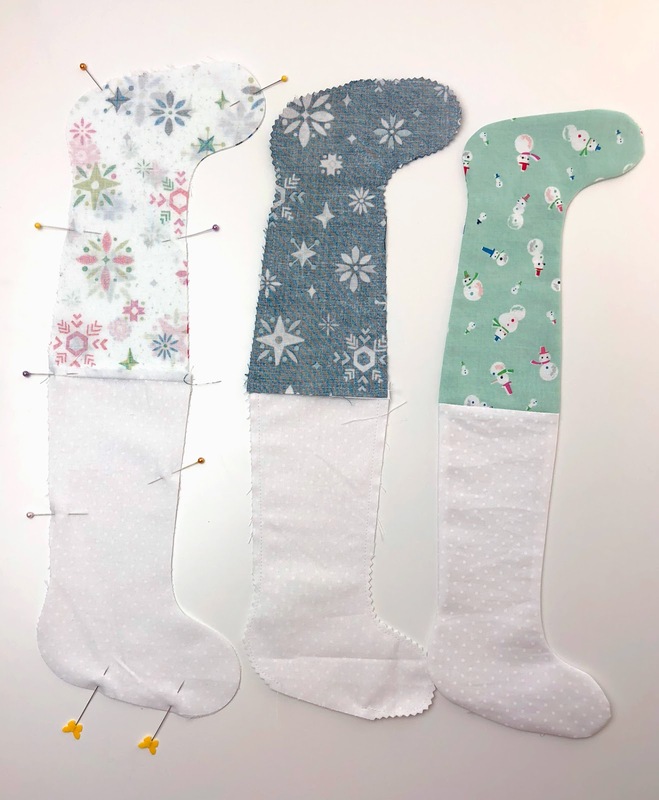 If you are cutting out the stockings on an electronic cutting machine, make sure you make a copy of the stocking and then mirror it so you have both sides of the stocking. Line up one outside piece and one lining piece right sides together. Make sure the toes are going the same direction. Sew along the top seam with a 1/4″ seam allowance. Press the seam to one side. Repeat for the other set. Line your two pieces up, matching the outside pieces together and the lining pieces together. Make sure the seams where the pieces are sewn together line up. Sew around the entire piece using a 1/4″ seam allowance, leaving an opening in the bottom of the stocking for turning. (as indicated by the space between the yellow butterfly pins). 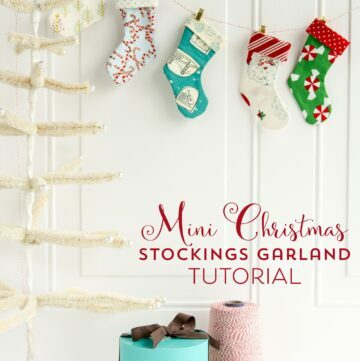 Use pinking shears or sharp scissors to cut notches in all the curves of the stocking. Turn right side out and press. 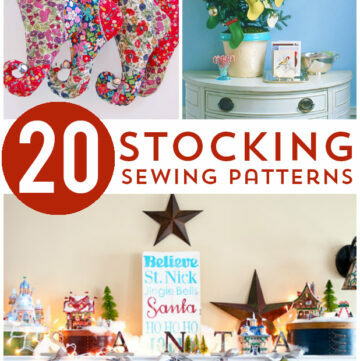 Make sure you push out the seams all the way, especially on the curves to get the best possible stocking shape. Turn the seam allowance of the opening in the lining under and sew using an edge stitch. 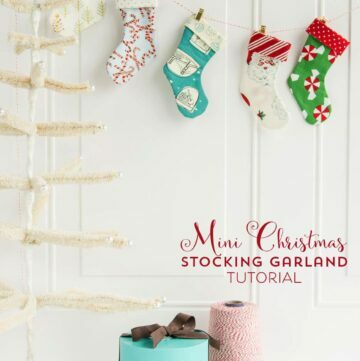 Push the lining inside of the stocking. Make sure the top seam is even and press. Turn over the cuff of the stocking. Now repeat 11 more times! I find it’s easier to do these in batches of 3 or 4, just to keep things moving and to feel like I’m making progress. 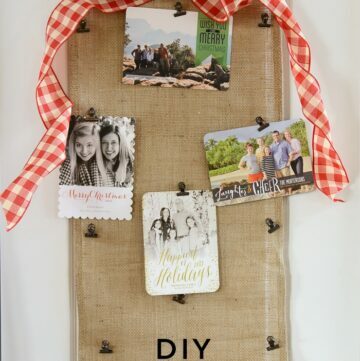 They are actually pretty simple to put together! 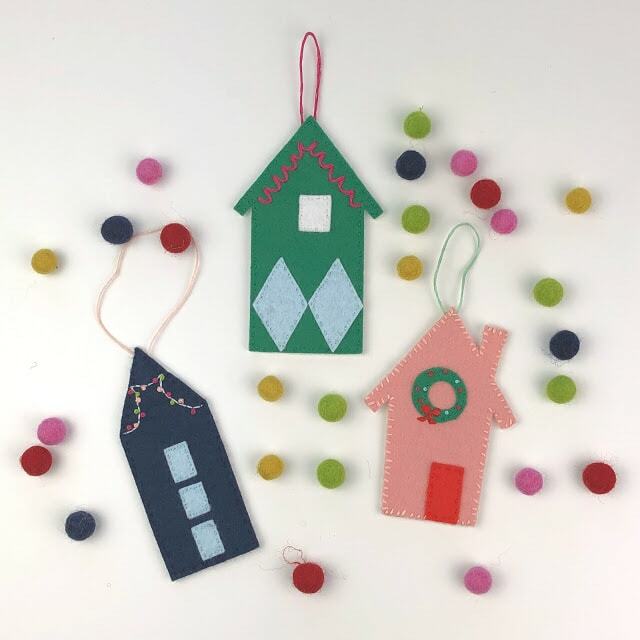 I used my Cricut to make some tags with chipboard and vinyl, but you could use cardstock, fabric or even precut tags. 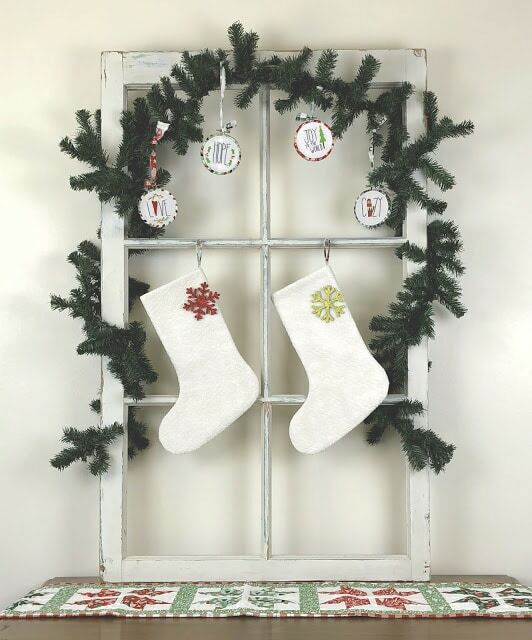 Next, I attached the stockings to the string for hanging with clothespins. I used my Mini Stocking Countdown in the holiday room I made for my little girls. They are so excited to see them filled with goodies, and I’m so excited to fill it for them! So, are you ready for the holidays yet? I’m getting so excited for my favorite time of the whole year! !